Performance: this fat gain is "dead weight" that hinders athletic performance (by decreasing strength-to-weight ratio) and increases your risk of injury. Health: extra carbs are converted to fat and stored. This leads to an increase in triglycerides and can cause insulin resistance. High carbohydrate diets can also cause dental problems. For this category, it is important not just to consider your training program, but everything in life. Sitting at a desk requires significantly less carbs than a manual labor job. Also, what do you do outside of work? On the weekends are you enjoying the great outdoors or a great movie? If you play a sport, what type of sport (e.g. shot put vs. soccer)? For the athlete, a huge factor is the time of year and what is happening with your sport (e.g. off-season vs. in-season). Click HERE for more information on how to periodize your nutrition. Endurance training, bodybuilding and practice for mixed sports (e.g. soccer, hockey) all require more carbohydrates. If you are doing low volume training, you won't need as many carbs (though performance will go down if you eat too little). If you are doing low-intensity cardio, you can get away with less carbs. Endurance performance, mixed sport performance and hypertrophy training all require more carbs. 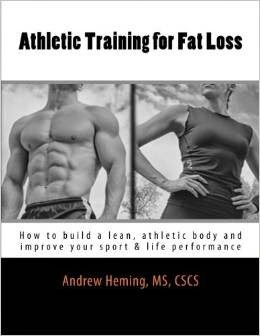 Goals such as fat loss require less. The leaner you are, the more carbs you can eat. People often need less carbohydrates as they age. While I personally believe this is due largely to a decrease in activity levels and lean muscle (both of which you should be trying to avoid while aging), you may need to back down on the carbs as you get older. Also, you will have less "wiggle-room" with the type of carb - so work on eating clean. If are an endomorph (i.e. someone who naturally carries more body fat and stores it easily), then you will benefit from a lower than average carb intake. If you are an ectomorph (i.e. 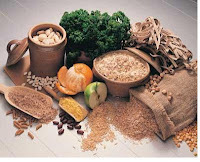 someone who is naturally skinny) you will need more carbs than the average person. This week's habit starts with getting a baseline for your body composition - click HERE for more information. It also involves tracking your performance (easily done through your training journal - if you are not keeping a training journal, please start one immediately!) and how you feel. Then, it involves watching for these signs and making small adjustments to your carb intake until you get it right for you! If you identify that your carb intake is too low or too high, start by making small adjustments and then monitoring how your body responds. This can be as simple as adjusting serving size. You can also try adding or removing an item. 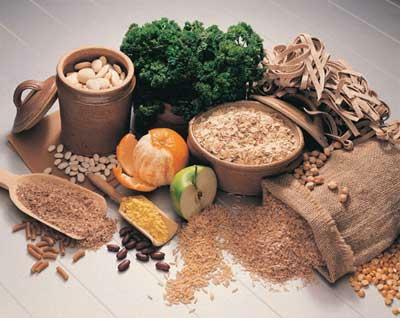 It can also be replacing starchy carbs with fibrous foods (e.g. replacing potatoes with a salad) to decrease carb intake or the opposite (e.g. replacing carrots with yams/sweet potatoes) for adding extra carbs. Also, remember your optimal carbohydrate level can change with the factors mentioned above. Therefore, finding and monitoring optimal carb intake needs to be a life-long habit and the right amount for you can change.